Ed Coates wasn’t the lucky winner of a grand prize drawing. And the vehicle presented to him in November wasn’t new. It was the red 1999 Dodge Caravan that he already owned. But there was one difference from the last time he’d seen it. When Coates put the key in the ignition, it started. “I was beyond happy to see my van fixed,” Coates said. A three-time recipient of the Purple Heart, he had deployed with the Army during Desert Storm once and Iraq twice and was injured each time. 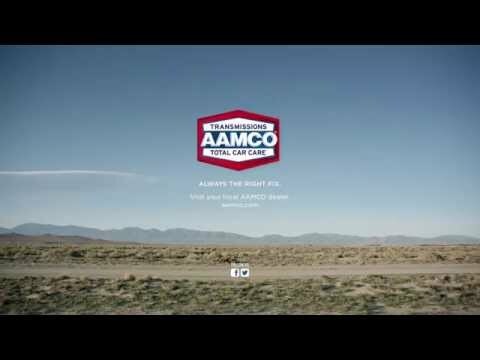 Earlier this year, he was named a recipient of 50 Cars in 50 States, which is a partnership between AAMCO and the Military Order of the Purple Heart to repair vehicles of combat veterans. In July, Coates and his wife, Teresa, were staying with friends in Lake Station when they decided to pack up their three daughters – ages 4, 2 and 1 – to move to Indianapolis. They hoped to find a house to make their home. But about 90 miles later, the Dodge Caravan broke down in Lafayette. After a two-month stay at the Salvation Army Family Emergency Shelter, Coates moved to the Indiana Veterans’ Home. His wife and daughters stayed with friends in Lafayette. Every Monday, he rode three different buses to go see his family. It took 45 minutes. When Coates received his working van on Nov. 12 – a Monday – he said the first place he went was to see his family. He drove. Now he can pick up his daughters and see them every other day or every few days. He takes them to parks or on rare occasions, back to the veterans home. But he said his wife has left him, and he doesn’t know if she’ll be back. Coates has been looking for a job since he returned to the United States in 2009, years before coming to Lafayette. With his van, he can drive to submit applications and go on interviews. He said he has two interviews coming up. He earns a small income from still serving in the National Guard, but he said most of it goes for diapers. And because of his time in combat and his injuries, he has constant ringing in his ears, short-term memory loss and isn’t allowed to lift more than 20 pounds, making it difficult for him to keep a job. He’s considering going to stay with his parents in Tennessee, but if a job in Lafayette works out, Coates said he’d come back. “And I’d rather be back up here in case my wife decides to come back,” he said. Taking care of his family is Coates’s top priority.